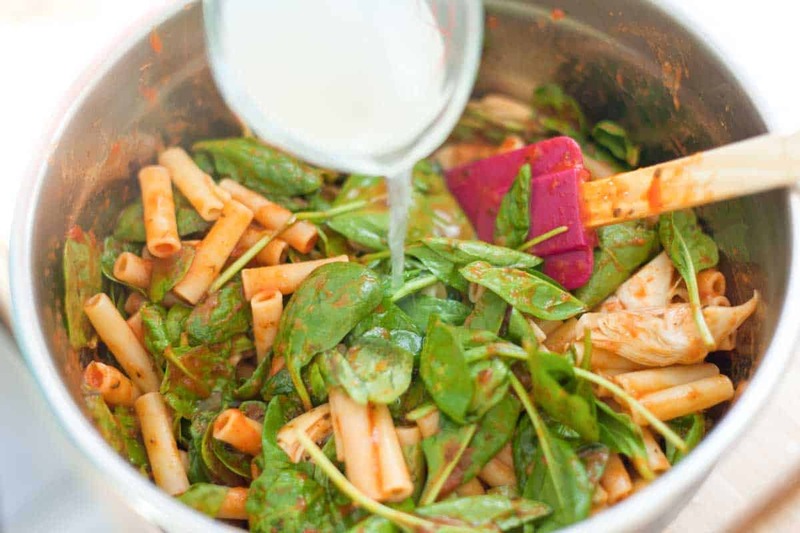 Can gluten free pasta be substituted without sacrificing taste? Thanks! Hi Sonia, The taste should be very similar. We’ve noticed that when using gluten-free pasta, it is usually the texture of the pasta that is different. I now know how to bake delicious banana bread thanks to you two wonderful, giving people. Thank you for sharing your expertise and thank you for the easy to follow instructions. My family, neighbours and friends enjoy your delicious banana bread and they always look forward to receiving the next loaf. 5 stars! Thank you for making so many people happy, Joanne and Adam! Someone told me to add an egg if I substitute ricotta cheese. Is that necessary or better? The egg will make form up the ricotta a bit. 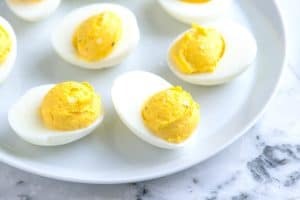 It isn’t necessary, but some people prefer the texture with the egg. I’ve made this dish countless times now and my hubby and I enjoy very much!! The only suggestion I have is to make sure to use marinated artichokes. We used plain ones once and it turned out kind of bland, so the marinated artichokes definitely add flavor to the dish. Love love love! The only artichokes in a jar available to me are marinated, which seems to be correct per one of the comments, but they do not look like what you have pictured. 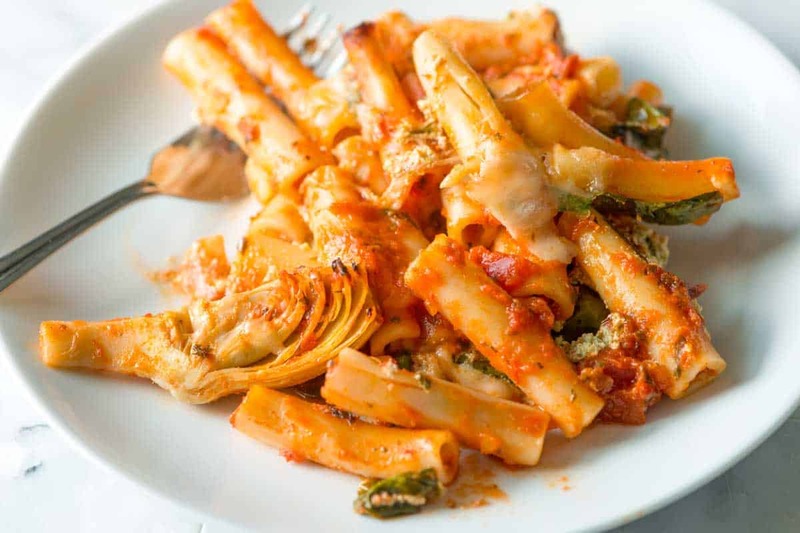 Unfortunately this looks like my idea of a perfect comfort food, which means I will have to stock up on artichokes and pesto, although I do usually make pesto all summer and freeze for winter use. This recipe sounds awesome BUT would I be able to substitute heavy cream for sour cream? You could certainly try it, it should still taste great. The cream will just be thinner than if you were to use sour cream. Would it be possibly to put this ziti together in the morning, refrigerate it. and then bake it just before dinner? I made this last night and it was very easy to prepare and was delicious! I chopped up the artichokes as suggested by another user; I love the flavor they add to the dish. Used a 13×9 pan and there was no need for a foil lined baking sheet underneath. I had all of the ingredients on hand, however, I like that you can easily swap out certain items if you don’t have them, or add others to your liking. Looking forward to trying out other recipes from this site! BUT….We changed some things to make it easier/create less dishes – we did not reserve any pasta water (the water from the uncooked spinach and other ingredients seemed like it would keep the pasta from drying out anyway), we used a large stock pot to boil pasta and returned the pasta back to the pot after it was drained for the spinach+sauce mixing (instead of using a “large bowl”), we did not preheat the sauce in any way (it was poured out of a room temperature jar), and we used a 13×9 glass baking dish and (luckily, because I forgot!) discovered there was no need for an aluminum-lined baking sheet. Glad you enjoyed the recipe and thanks for your extra tips! Sounds really good. I was wondering about preparing the night before cooking it. 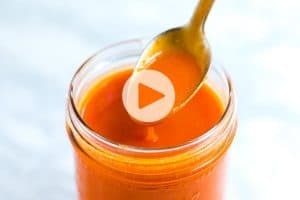 I would not heat sauce but not sure if that would be recommended? Preparing the night before should work fine. looks delicious! what kind of pesto sauce do use? Is there a certain brand or kind? Made this tonight. Also added asparagus and served with a side of roasted broccolini and heirloom tomatoes. It was a huge hit! Thank you! Hi! !I just made this for lunch and it was delicious.My husband and I ate almost the whole thing by ourselves,lol!! I only changed the very top layer,I mixed some parmesan cheese and minced garlic with seasoned panko breadcrumbs and the mozzarella to give it an extra little crunch! The sauce I used was Amy’s Marinara and it came out fabulous.I served it with a regular lettuce-onion-tomato salad. The only thing I’m going to change is next time I’m going to use pre marinated artichokes because today I only had plain ones on hand and felt like they were a little bland…my bad. 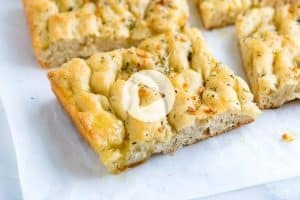 Can you make a suggestion for a sub for artichokes. Had leftover tomato sauce, artichokes, pesto and mozzerellla cheese from pizza night. Plugged those ingredients into google and this recipe popped up. Made it and added some pepperoni (which was also left over). It was fast, simple and delicious! Sounds wonderful! Adding pepperoni is never a bad thing. What do you think about using an arugula pesto instead of basil pesto? Made this tonight for dinner, awesome, will be making again!! 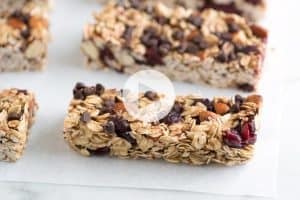 This recipe is delicious & so easy to make! I halved the amount of spinach but it still turned out wonderfully. Going to make this real soon, maybe today…I will let you know how i liked it…. Hi! As a ziti traditionalist I was skeptical of this, but it tastes awesome and definitely make agai with no changes. Btw I discovered your site this past Friday. It’s Monday and I’ve already made three of your recipes. Such a delicious looking pasta! 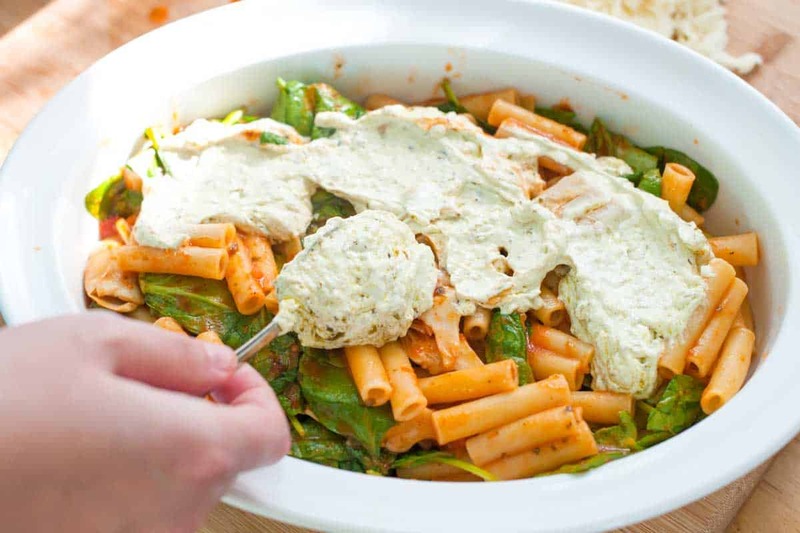 Love, love, love the addition of spinach and artichokes to baked ziti! So flavor-filled and super comforting! This is gorgeous! I love how you layered it in the dish! Thanks! The layer of sour cream with pesto is so good! Ummmmm, I just died. This is gorgeous. Pasta makes my knees buckle too 🙂 Love this simple idea! Yum! 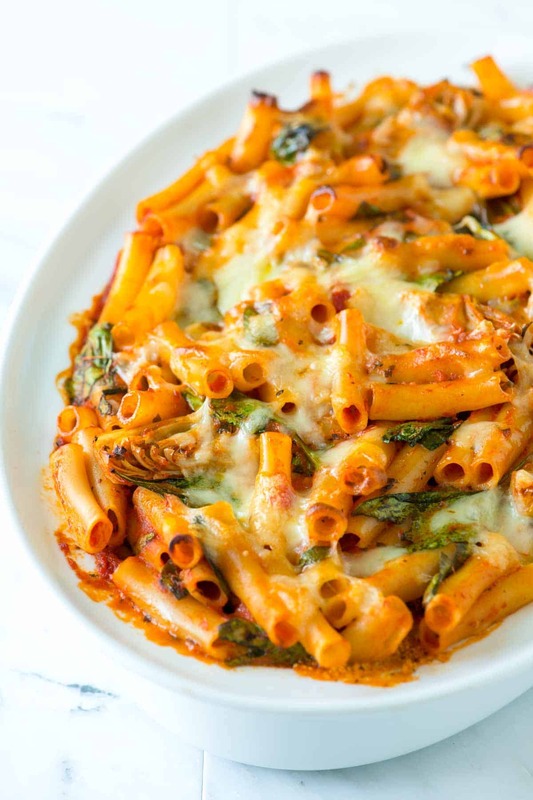 One of my weaknesses has always been baked ziti, cheesy and all in one dish with veggies and pasta, can’t beat it! 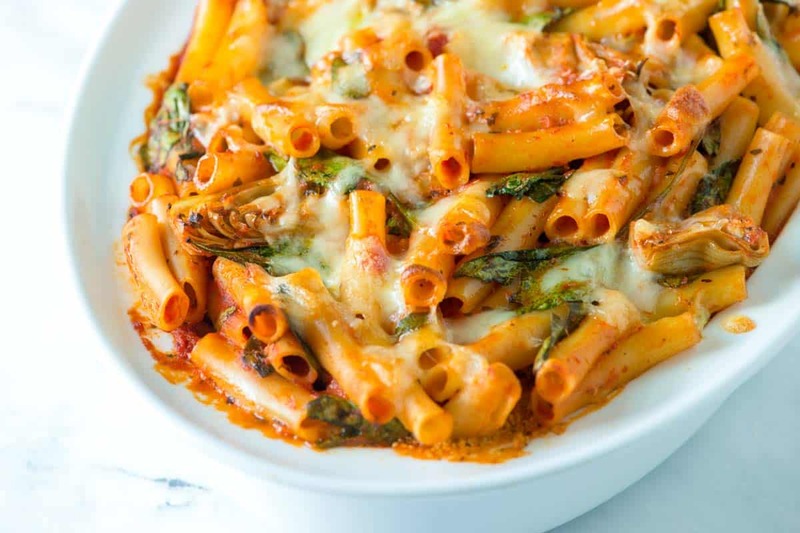 Baked ziti was my absolute favorite! When I was living in NY, I would always have to get this at our local pizzeria! And I love that you jazzed this up with spinach, artichoke and pesto! I bet the flavor combination was amazing! OMG, this is right up my alley. Looks fan-tab-ulous!!!!!! MUST TRY!